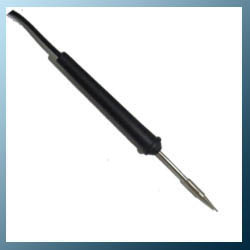 We are Manufacturer, Supplier, Exporter of Pencil Type SMD Soldering Irons, Mini Soldering Irons., Soldering Iron.Light & easy to handle soldering iron for Precision & quality soldering. The slim design is ideal for small soldering joints. it can be used for SMD Componants, Jewellery, Dentist etc.